1500 foot long + 15 foot wide, to say that Robert Smithson's 'Spiral Jetty' is gigantic would be an understatement. 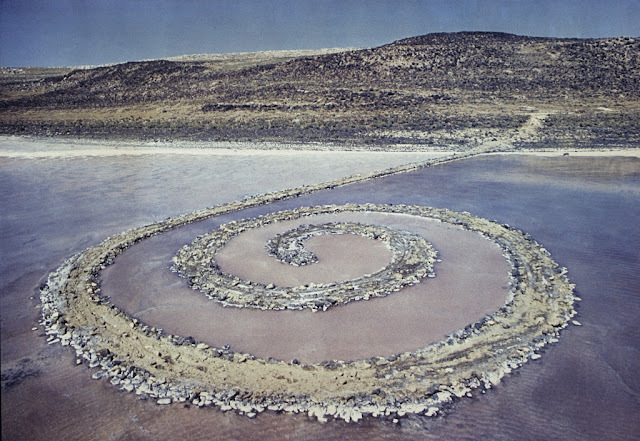 Made out of salt crystals, mud + rocks at the Great Salt Lake in Utah, this humongeous example of land art is a sculpture integrated into the landscape + therefore equally affected by the elements. I love how this piece is at times undetectable, being submerged + revealed by the lakes fluctuating water levels. 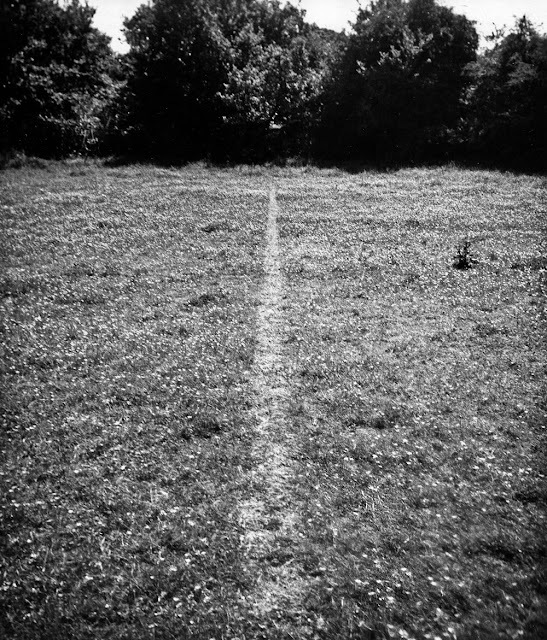 A work that is both transient + fixed, 'A Line Made by Walking' existed both at the site it was made and also from the photographic evidence that Long provides for us. There is something both eerily beautiful + at the same time simple about the piece. The title says it all, the photograph presents us with a line that Long made walking repetitively, backwards + forwards through a field.